Be warned this is a bit photo heavy! I'm pretty sure when you saw my card you thought that my muse was Ardyth this week ! Honestly you could have knocked me down with a feather when I saw Ardyth's card this week for the Muse Challenge because guess what was sitting on my desk ready to be finished after work today??? Look familiar?? 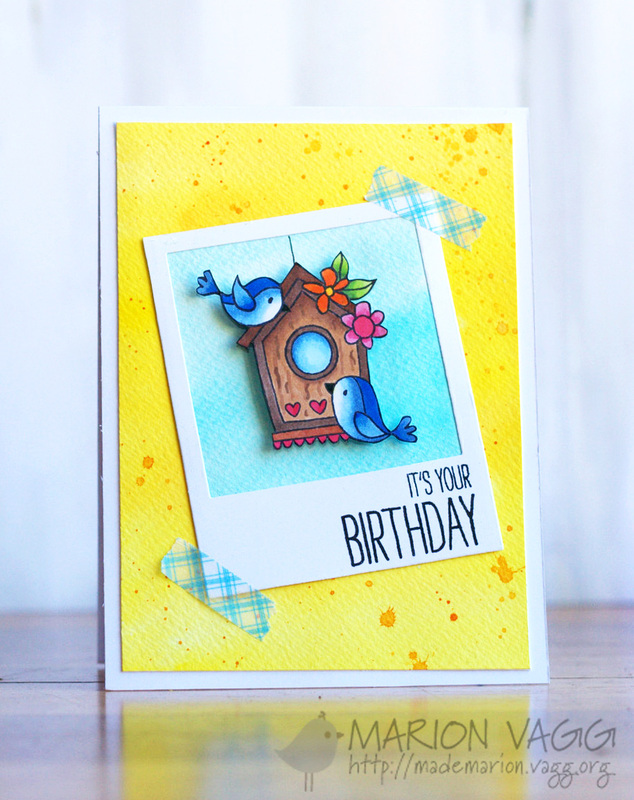 check out Ardyths one this week on the Muse blog hee he. 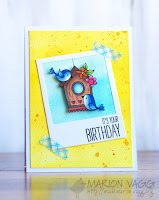 I admit that I am a great admirer of Aryth's style of card making, and over the years have scrutinised her cards to see where and how she comes by her ideas ...maybe a bit too much!But thanks to her I have really looked at the photo inspirations in a new way.So thank you Ardyth for opening my eyes. I wasn't going to post this one as it looked too much like a CASE of Ardyths but then changed my mind it is slightly different! 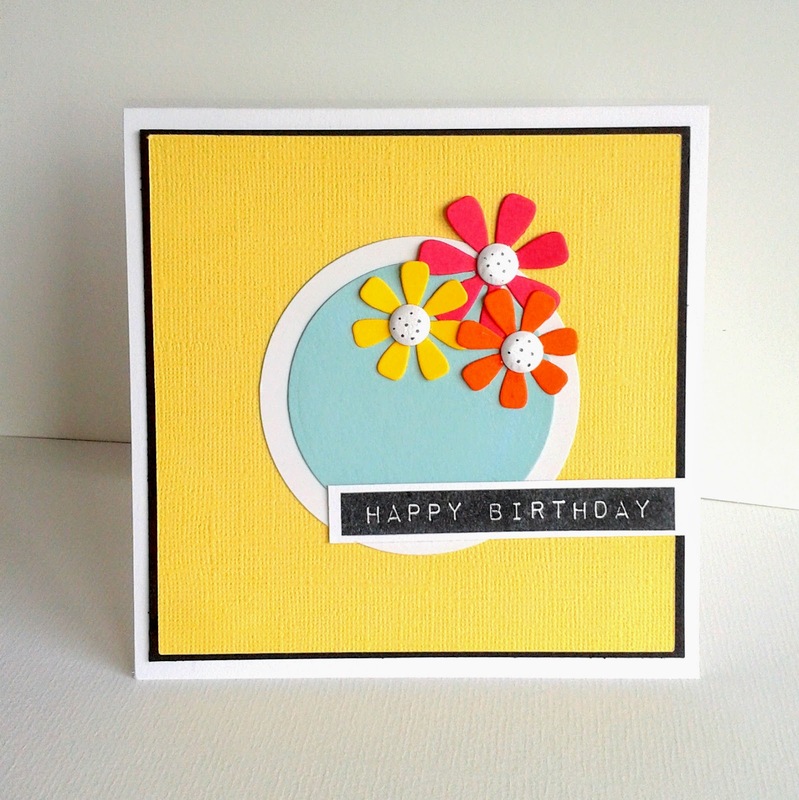 I took my inspiration from the circle in the birds house ,colours and the flowers on the top quarter of Marions card.The sentiment was because I had new stash from Altenew delivered this week and wanted to try it out ...they are awesome hee he. This is just beautiful. I love the simplicity of it - I think I feel a case coming on! WOW! Talk about great minds thinking alike! I love your style and am amazed at how our minds worked in sync on this one - I'm very proud to have our cards looking so similar! Jenni!! How fabulous! I knew Ardyth would rub off on all of us sooner or later! !